Gwesty Cymru01970 612252work Restaurant with RoomsAt Gwesty Cymru you’ll have no doubt that you are in Wales! 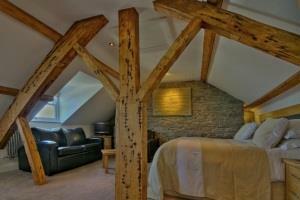 A showcase for Welsh artists, artisans and bards, the hotel provides every contemporary comfort and luxury. Each room features handcrafted oak furniture, LCD televisions, crisp Egyptian cotton sheets, sumptuous beds and wireless internet access. Gwesty Cymru is conveniently located on the Ceredigion coast at the centre of Aberystwyth’s promenade. Unwind whilst watching the sun setting over Cardigan Bay, enjoy a feast of local produce from the seafront terraced restaurant or sample a Welsh tipple or two from the bar. At Gwesty Cymru you’ll have no doubt that you are in Wales! 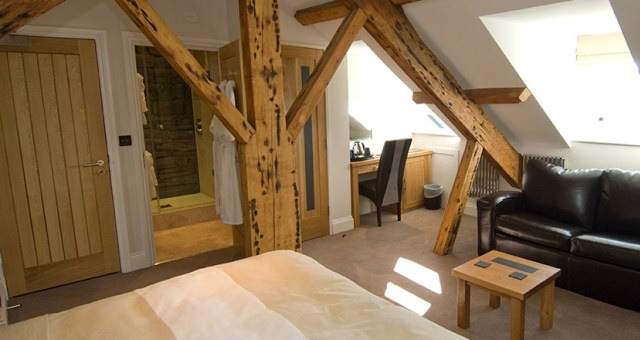 A showcase for Welsh artists, artisans and bards, the hotel provides every contemporary comfort and luxury. Accessibility: Hearing loop at reception. Beach opposite and there are also 2 indoor swimming pools in Aberystwyth. Aberystwyth Arts Centre, National Library of Wales, Ceredigion Museum and Cinema within walking distance. Golf Clubs at Aberystwyth and nearby at Penrhos and Borth. Riding Centre 4 miles. Sea and Freshwater fishing nearby. Children welcome from age 5. Upon entering Aberystwyth on the A487 from the south, at roundabout take 1st exit signposted ""A487 Aberystwyth"", continue for about 1 mile onto Bridge Street, carry straight on at the clock tower onto Pier Street, then follow the road around to the right for Marine Terrace. Gwesty Cymru is situated opposite a small jetty and outdoor paddling pool - look for the large rock in the garden. Travelling down Penglais hill, continue on this road bearing left just after traffic lights. Stay in right hand lane following road as it bears right and at roundabout carry straight on passing Aberystwyth Station on left. At mini roundabout take second exit (straight on) onto Mill St. At T-junction turn right onto Bridge St. Carry straight on at the clock tower onto Pier Street, then follow the road around to the right for Marine Terrace. Gwesty Cymru is situated opposite a small jetty and outdoor paddling pool - look for the large rock in the garden. Upon entering Llanbadarn (passing Texaco service station on the left), take first exit at roundabout and immediately, the second exit at second mini roundabout signposted ""A44 Aberystwyth"". Continue for about 1 mile. AT T Junction turn left and follow the road bearing left just after traffic lights. Stay in right hand lane following road as it bears right and at roundabout carry straight on passing Aberystwyth Station on left. At mini roundabout take second exit (straight on) onto Mill St. At T-junction turn right onto Bridge St. Carry straight on at the clock tower onto Pier Street, then follow the road around to the right for Marine Terrace. Gwesty Cymru is situated opposite a small jetty and outdoor paddling pool - look for the large rock in the garden.